The 2010 Los Angeles Times Book Prizes were awarded on Friday (April 29, 2011), in a ceremony at the Chandler Auditorium of the Los Angeles Times in California, USA. Amongst the winners, the award for graphic novels went to Adam Hines for the anthropomorphic tale Duncan the Wonder Dog: Show One. 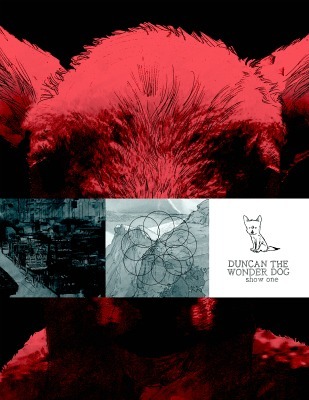 Duncan tells the story of an animal uprising in a world where talking animals chafe under the cruel hand of human dominion. Judges praised the story as a "powerful, prodigious work about the question of who the world belongs to, with an incredibly strong, original visual and narrative aesthetic". Upon receiving the award, Hines, 27, said "I started working on this book back in 2002 when I was 18, and only just finished last March, and that’s a long time to work on something that you don’t know will be of any good use to anyone". He also stated that he is already working on the second book in what he plans to be a nine-volume epic: "I’ll be working on these books until I’m 70".